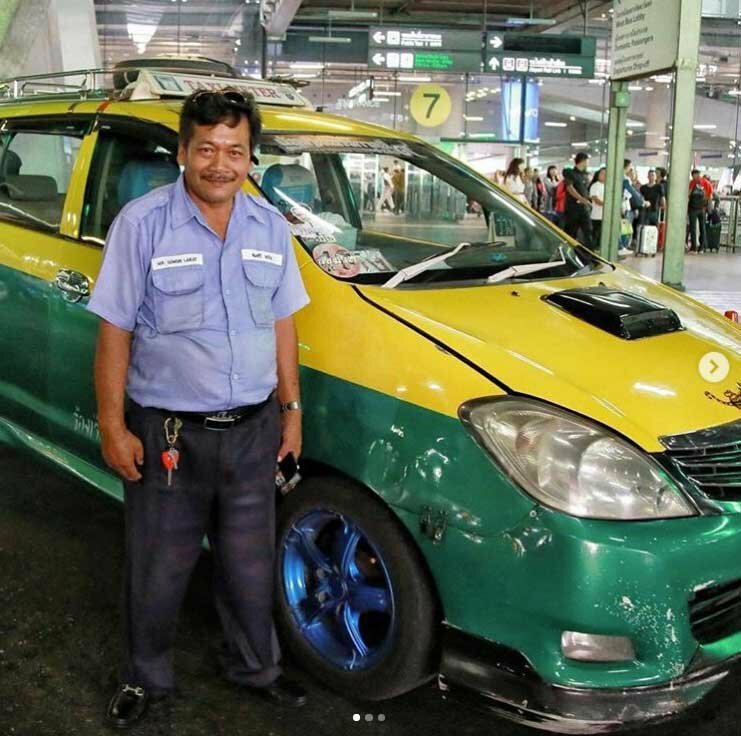 A Bangkok taxi driver has been praised after returning a bag containing 400,000 baht to a Danish tourist. The driver, identified as Somsri Ralat picked up the Danish tourist and his Thai wife at Suvarnabhumi airport and was taking them to the 13 Coins Hotel in Bang Yai at around 1.30pm on Monday. However, after arriving at the hotel, the couple left the bag containing the cash and some other documents in the back of the taxi. After discovering the bag, the driver contacted staff at the airport to ask for help in tracking down the couple. 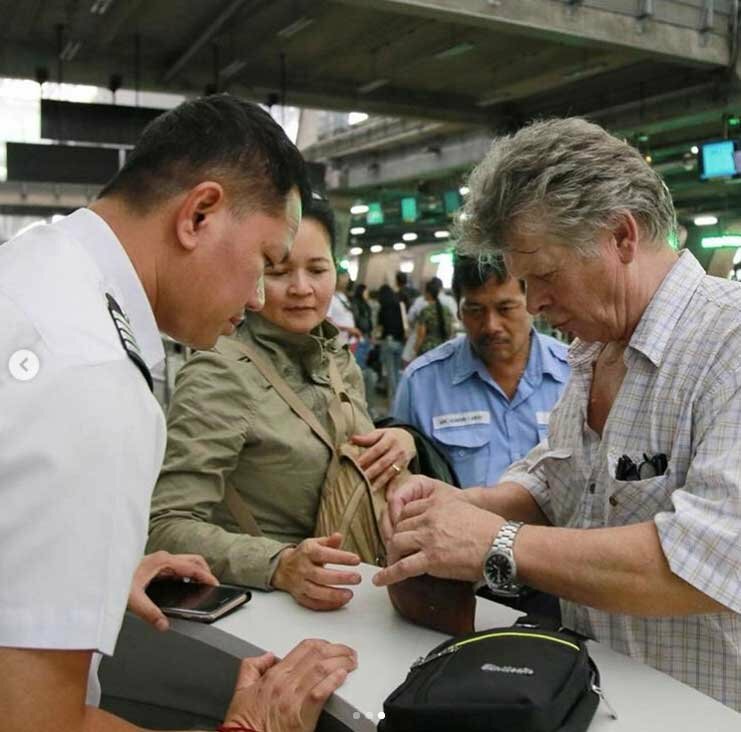 The couple were then reunited with their bag at Suvarnabhumi at 4.30pm on Monday. 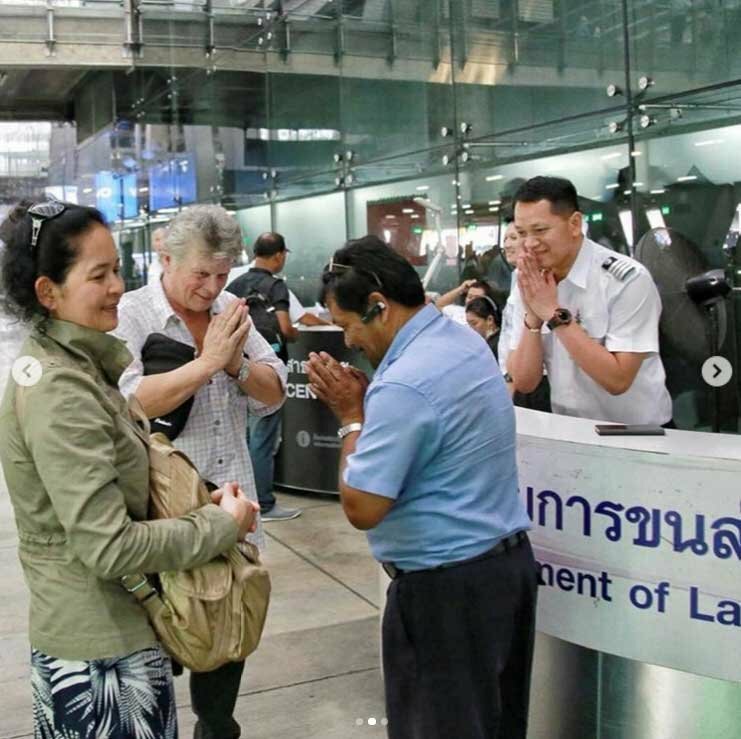 Wing Commander Suthirawat Suwannawat, Managing Director of Suvarnabhumi Airport said Mr Somsri was a credit to Thailand and his actions would be good for the country’s image among foreign tourists. Passengers who leave personal belongings in the back of a taxi they have taken from Survanabhumbi are reminded they can contact the Taxi Service Center, on Tel. 02 132 0360 or the AOT Contact Center, on tel. 1722, 24 hours a day. Things must be bad, that's the second honest taxi driver story today. As usual, a few bad tourists stories and suddenly out comes a classic like this. As is always the case. ; how did the driver know it was there? Do taxi drivers inspect the back seat and underseat areas every time a passenger alights. Why didn't the next passenger find the bag? Amazing Thailand. If you left 20k cash in a taxi in the west you can kiss it bye bye. I'm still waiting for the feel good story of the politician who returns the millions he has syphoned off during his career...…….say what? they don't do that? Oh well, lets stick to the kind, honest taxi drivers to preserve the pristine reputation of this wonderful country! Erm....if he dropped them off at the 13 Coins Hotel.....why didn't he simply go back to that hotel to look for them in the first instance? Perhaps it was they who contacted the airport to find him....and since their trip was recorded, he had little choice. I know that when flying into Thailand from the UK, I am not allowed any more than £10,000 in cash. Currency Import regulations: Local currency (Baht-THB): up to THB 50,000.- per person or THB 100,000.- per family holding one passport. Foreign currencies: unlimited. However, amounts of foreign currency exceeding USD 20,000.- (or equivalent) must be declared to a Customs Officer upon arrival by all travelers. Therefore did he declare this and if not will he be looking at a fine or the cash seized? How do you know he didnt withraw the money in an ATM after he arrived and passed the custom? This just sounds so wrong, I am not sure I believe this at all. He is a Danish tourist, we Scandinavians comes from a cashless society and use cards all the time, and even the smartphone. Why carry 400k in cash? I never carried that much cash, 30-40k at most. It just doesn't make any sense. And leaving the bag in the car without thinking about it, come on! Also no names are mentioned in the article, not his name or his Thai wife, so it's impossible to verify. Funny how one of these stories appears from taxiland right after a story about car and licence not matching and meter too fast. This story is utter BS, why would the taxi driver ( who was named) contact the airport for help and not the hotel. As has already been pointed out, who would risk confiscation by carrying such a large amount of cash. Also Scandinavian countries are almost cashless, so why would a conveniently unnamed Danish man carry that large amount. Surely before coming up with these c++p made up events, the clowns would make sure to get things correct first. I am in tears after reading this article. So many very, very good men in Thailand. So hard to find honest and sincere people in this world. Finally I found a country where I can be happy with so many very, very good men.